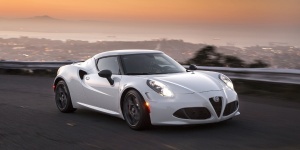 Powered by a 1.75-liter Inline-4 turbo engine, the Alfa Romeo 4C is a focused mid-engined sports coupe that offers great handling and looks stunning. 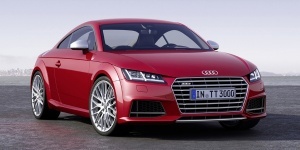 The Audi TT comes powered by a choice of 4-cylinder turbo engines with standard all-wheel-drive. Roadsters seat two, while the coupe seats four in a handsome and well handling package.